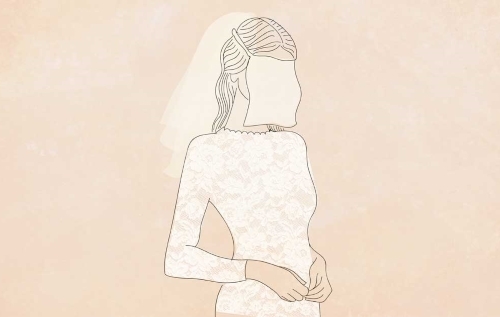 Why Does a Jewish Bride Wear a Veil on Her Face? Since ancient times, Jewish brides have been wearing veils. So we know we have been doing this for a long time, but why? Why should a bride cover her face? 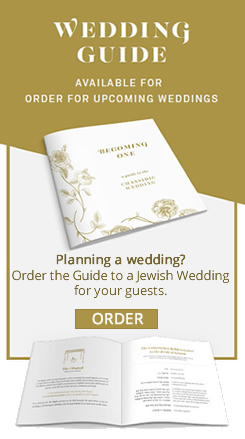 The Jewish wedding process contains two distinct stages: kiddushin and nissuin. Kiddushin means “sanctification” or “dedication,” and it is from that moment on that the bride is set aside for her suitor, forbidden to every other man in the world. From then on, they would need a get (divorce) to dissolve their union. Yet, they are not yet a couple. This is affected through nissuin, marriage, when the couple starts their life together. Originally, these two stages were performed separately, with weeks, months or at times even years elapsing between the kiddushin and the nissuin. Nowadays, however, both stages are completed during the wedding. Nevertheless, they are still two distinct stages, and there are elements of the ceremony that are performed because of kiddushin, and parts for nissuin. 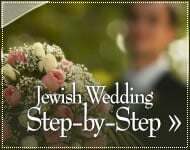 Kiddushin is fairly straightforward, accomplished by the groom giving the bride a ring. There are, however, various opinions regarding how nissuin is accomplished, and the custom is to do as many potential acts of nissuin as possible. According to some opinions, the covering of the bride with a veil is an act of nissuin.3 It is for this reason that in many communities it is the custom that the groom himself covers the bride with the veil. This is, however, not universally practiced. In fact, in some communities the groom isn’t even present when it is done. Additionally, there are a number of other explanations for the bride’s veil. The Torah tells us that when Moses came down from Mount Sinai after the sin of the Golden Calf, his face was so bright with holiness that no one dared look at him. He therefore wore a veil whenever he spoke to the people. See Mishnah Ketubot 15b; it was the custom for virgins to wear a veil to their wedding. See Tosafot on Talmud Yoma 13b; Ramah in Shulchan Aruch, Even HaEzer 55:1. Ramah, Shulchan Aruch, Even HaEzer 31:2; see also Chatam Sofer on Genesis 24:63. Ramah, Shulchan Aruch, Even HaEzer 31:2. Sefer Matamim, Chatan V’Kallah 13; Rabbi Nachman of Breslav in Sefer HaMiddot, Chitun 7, see also footnotes ad loc. by the “Rav of Tsherin”; see also Oz Vehadar Levusha, where he explains that this has to do with modesty being a source for blessing to have children. Of course the groom has seen his bride's face. Even in the strictest circles they have to see each other at least once to see if they like the way the other looks before they decide to get married. Nothing in Judaism is based on superstition. Anyway, what does your comment have to do with wearing veils at a wedding? And if Jews did not wear veils there would be peace? Moses and the veil If you read Exodus carefully, Moses did NOT wear the veil when he talked to the people - he wore it AFTER he talked with them, to conceal the fading of the glory. He wanted only God's glory to shine, so he veiled himself when it began to fade. abandonned-orlando If you were abandonned by your filrst husband, make sure he gives you a "get"
because obviously you can only have one husband! The Veil I always understood the veil to represent the virginity of the bride. RE: Isn't there still another spiritual reason? If either the bride of the groom are getting married for the first time, the veil placing ceremony is exactly like it is by any other first-time wedding. Why does a bride wear a veil? If the tradition of the bride wearing a veil started with Moses, how would Laban have been able to use a veil on Leah to deceive Jacob?